1. My fin doesn’t exactly fit into the box. What can I do? 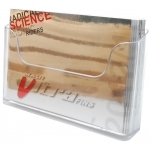 Unfortunately fin boxes are not really standardized. 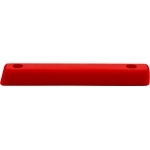 It can happen that the fin base doesn’t fit into your board’s box. 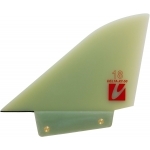 Just do the following: Sand the flanks of your fin until the fin base is in line with the board’s surface (d = 0). 2. 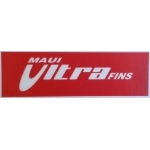 What makes Maui Ultra Fins so exceptional? 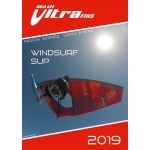 Maui Ultra Fins uses specifically developed foils which have been optimized for the windsurfing speed range and conditions. 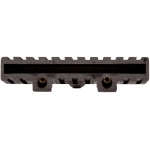 MUFins provide nearly twice as much lift at low speeds compared to conventional fins with the same fin area. 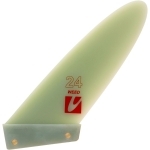 MUFins also allow a nearly twice as high angle of attack (flow angle) than conventional fins. 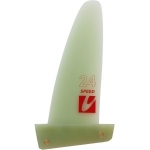 On top of this, the fins provide outstanding upwind performance and spin-out resistance and even the drag is much lower compared to conventional fins which makes MUFins so fast. 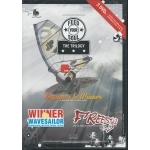 All these characteristics allow a very stable ride and jibing in all wind and wave conditions. 3. 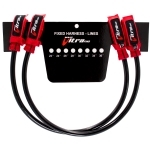 Why do your fins have no flex? When sailing, the wind can be very gusty (sudden change in wind speed and direction), which leads to sudden changes in sail forces that are very uncomfortable. 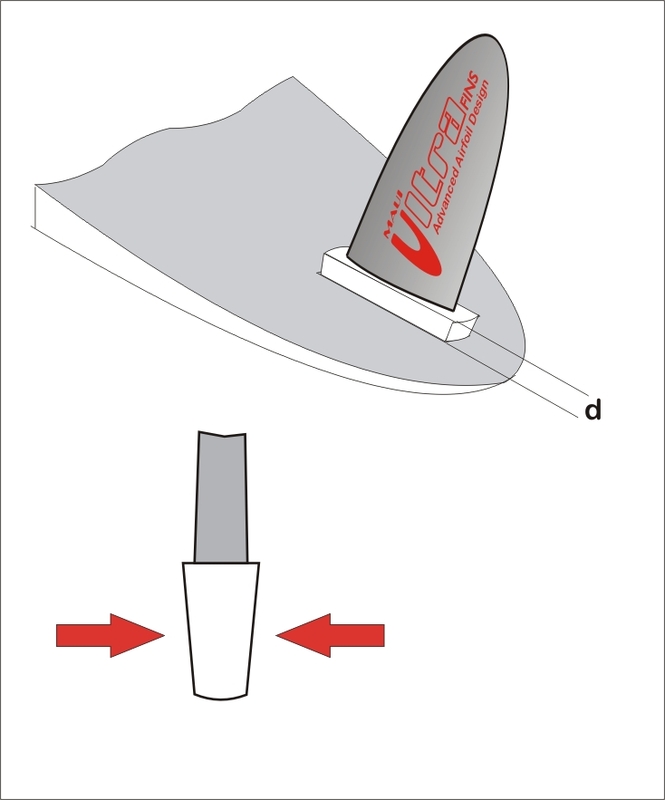 To compensate the varying forces sail tip flex was invented that lead to very easy sail handling. However, there are no gusts in the water which have to be compensated. Due to the fact that the airfoils of conventional fins have limited spin-out margins, flex was introduced to reduce the spin-out problem. But as a result performance is lost. 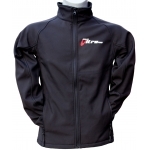 Because MUFins are so spin-out resistant, flex is not needed and full performance is available in all conditions. Fin evaluations have shown that no flex is preferred. 4. 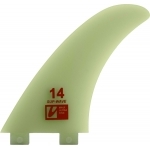 Why do your wave fins not have the typical wave fin outline? 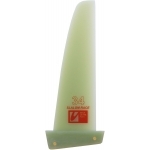 To start with: The typical wave fin outline is regarded as highly inefficient under hydro-dynamical aspects due to the extremely high rake (swept back) at the tip. 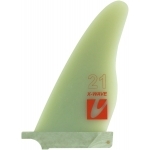 To provide flex in wave fins, airfoils ended up being very thin at the tip which results in early spin-out. Our impression is that the wave fin outline was heavily influenced by simply copying from sea animals, when fins first were used on surfboards. Since then the outline has never changed and few people have questioned this approach. 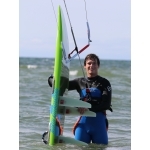 Many tests of MUFins in wave conditions have shown that they work perfectly in small waves as well as in really big surf with their elliptic and relative straight shape. 5. 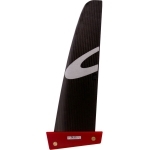 Why are Maui Ultra Fins so spinout resistant? See second question and for more technological background compare “Fin technique”. 6. Why do your fins have an elliptic outline? The so called induced drag of a fin is produced by pressure equalization at the tip of the fin. This drag is minimal, when the fin outline is elliptic. This has been well known for over 80 years. 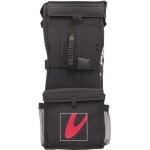 That‘s why MUFins have an elliptic outline - to reduce the induced drag. 7. What is G-10 material? 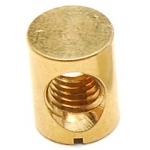 G-10 is a glass epoxy laminate which has been used as electro-static dissipative material. 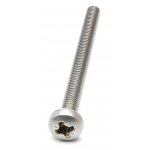 It is very stiff and it offers excellent machinability and tight tolerances. 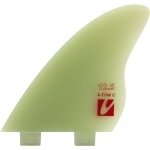 All Maui Ultra Fins are made of high-quality G-10. 8. 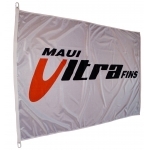 Why are Maui Ultra Fins raked? 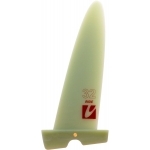 The rake or sweep back of our fins is small which makes the fins more effective. A large rake angle reduces the lift curve slope and should be avoided. 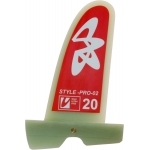 Some rake is also needed to have the right sideforce position of the fin in order to trim your board correctly. 9. How can the fin area be determined? Place your fin on a sheet of paper and draw the outline of your fin. Then draw a first line in parallel to the box in a distance of 0.5 cm followed by parallel lines in a distance of 1 cm until the tip of the fin as shown in the sketch. 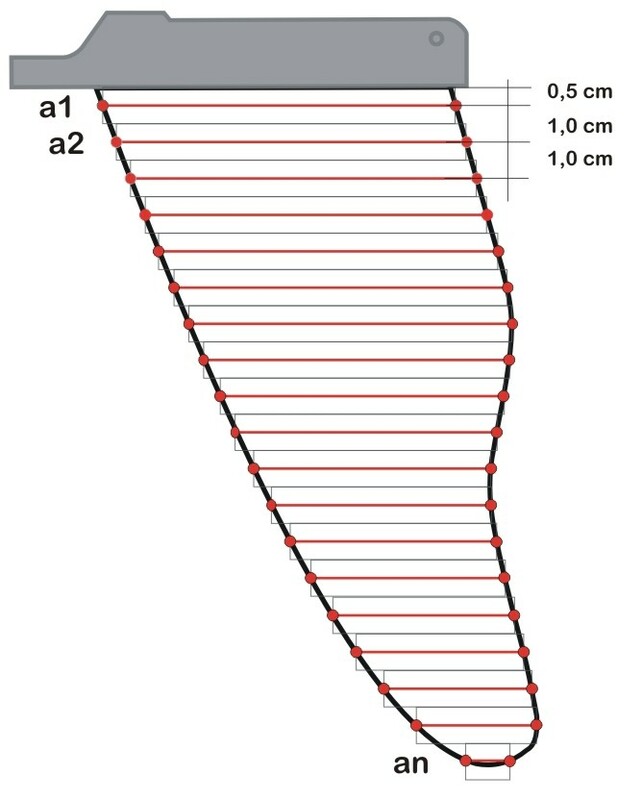 Each line represents a rectangle of 1 cm width. Measure the length of each line within the outline (= 1 cm wide rectangles) and add up all distances. Example: The total length of all lines is 200 cm (a1 + a2 + … + an = 200 cm). That means that your fin has an area of 200 cm2. 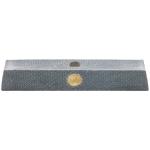 You will find the surface area of our fins on our website.